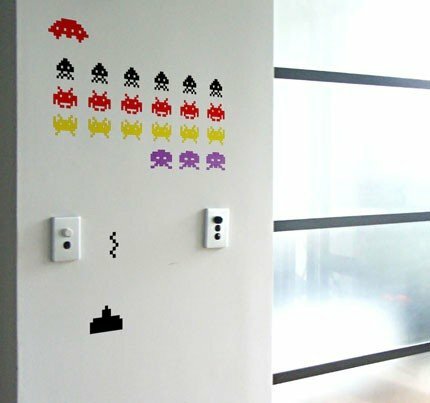 Fancy giving your apartment a bit of a makeover and need some ideas, then check out these fun Space Invaders wall decals, these would look cool in your home office or your kids bedroom. These fun decals stick to your wall, and as you can see from the photo its looks like there is a game of Space Invaders being played on your wall. These fun Space Invaders wall decals are available to buy online for $45 for a set, which includes 27 pieces, from Etsy.